Call the library to reserve a date or reserve your date online now! Passes are available for pick up at the Circulation Desk after 3:00pm on the day prior to your reservation. Museum Passes are to be returned to the Circulation Desk, or in the Media Drop in its provided case by 12:00pm on the due date. Passes due back on Sunday must be returned by 2:00pm in person, or placed in the Media Drop the night before. 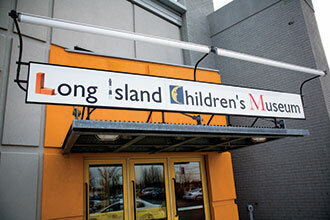 Museum Passes may be reserved by Lindenhurst Memorial Library adult cardholders in good standing. The pass may be reserved up to 2 months in advance of the desired date, subject to availability on a first come, first served basis. A particular pass may only be reserved once in any 30 day period. The library offers discounted tickets to attractions listed below. You may pay cash or credit. For avaliabilty please call the Circulation Desk, as supplies are limited. Bronx Zoo - Coming Soon!